In December, all of Indonesia’s labor unions led a massive campaign for a much higher minimum wage. Minimum wages in Indonesia vary from province to province and even from city to city. They are set by a local committee consisting of business representatives, local politicians and union representatives, and then must be approved by the governor or mayor. Since Indonesia is a big country, around 250 million people, with a lot of industry, wage levels floored by a minimum are very important to millions of workers. One particular issue that has bothered the unions is that the formula for calculating the minimum wage ignores the cost of fuel; the government just raised fuel prices by 30 percent. The unions also feel the cost of phone service and refrigerators needs to be in the market basket. According to Bloomberg News, Jakarta Gov. Basuki Tjahaja Purnama approved a 2015 minimum wage of $219 a month, while unions want about $285 a month. Dedi Hartono, a worker on the Jakarta Wage Council, said at least 5 million workers will join rallies, including assemblies outside the offices of the governor and president, to protest this low minimum. According to press reports, 50,000 people marched through Jakarta, Indonesia’s capital, in a militant display of popular anger. Outside of Jakarta, the situation was very mixed. 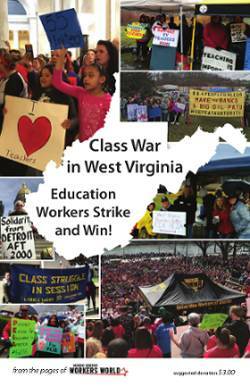 Some regions saw the governor reject the pro-business levels of the wage board. Some regions saw solid successes for the unions and others not so much. But all over Indonesia, the workers responded to the call of their unions and were out in the streets by the millions. In 1965-66, after a military coup took the power from President Sukarno, a million Indonesians, mainly members of the Indonesian Communist Party and its progressive mass organizations, were slaughtered in an operation conducted by the Indonesian military and endorsed by the United States. 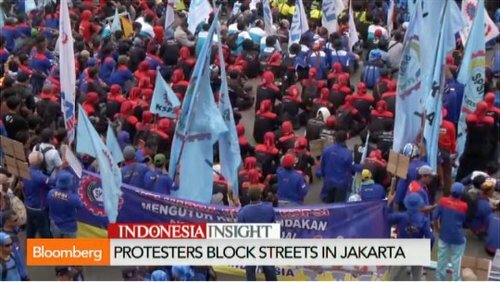 It has taken a long time, but the progressive movement defending Indonesian workers has come back and is showing its strength in the streets.